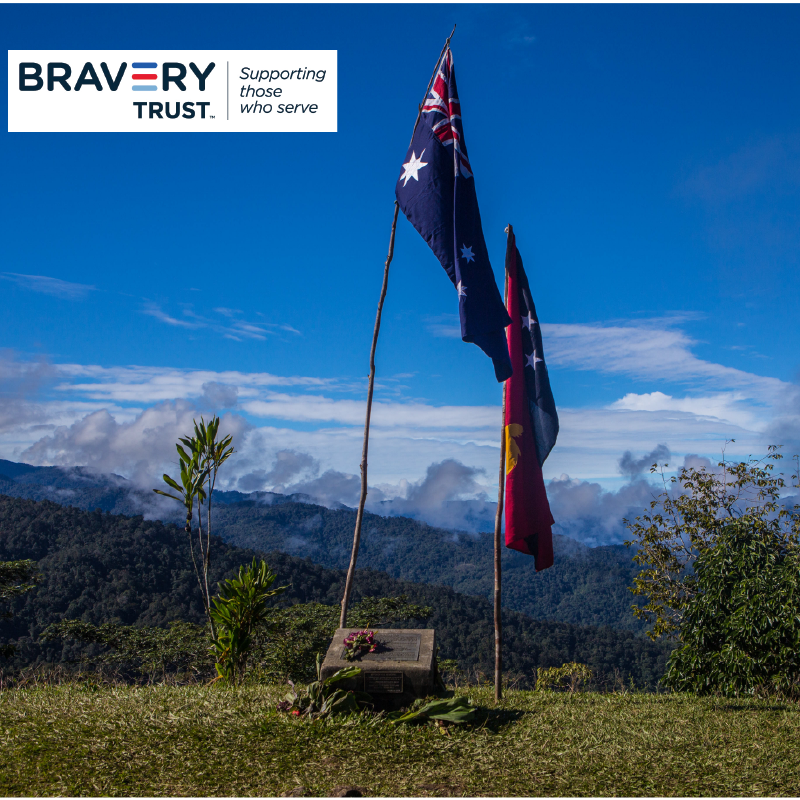 Join us as we take on Kokoda over ANZAC Day in 2019 to honour both current and past Australians who have served in the Australian Defence Forces. 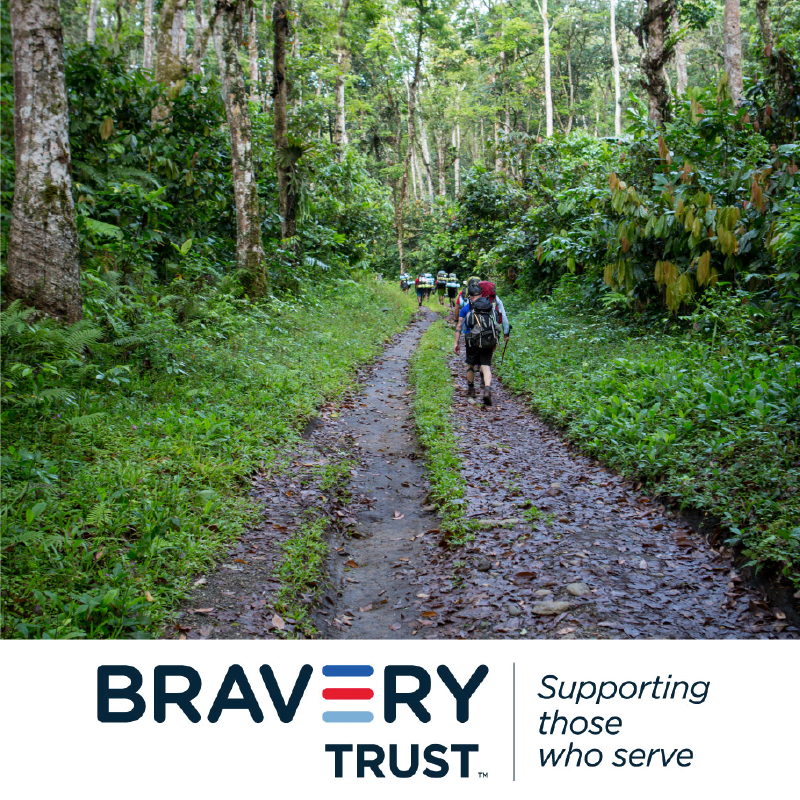 Our charity partner for this trip is The Bravery Trust who provides financial support to veterans, current and former members of the Australian Defence Force, and their families, who have suffered injury or illness as a result of their service and are experiencing financial hardship. THEY GAVE EVERYTHING FOR AUSTRALIA. AUSTRALIA, IT’S TIME TO GIVE BACK TO THEM. The Kokoda Track stretches 96 kilometres through what is arguably some of the most rugged and wild jungle in the world and holds an extremely important place in Australia’s history. From July 1942, the route over the Owen Stanley Range witnessed the battle hardened Japanese war machine, encounter young, unprepared, untrained, unproven and hopelessly outnumbered Australian soldiers. 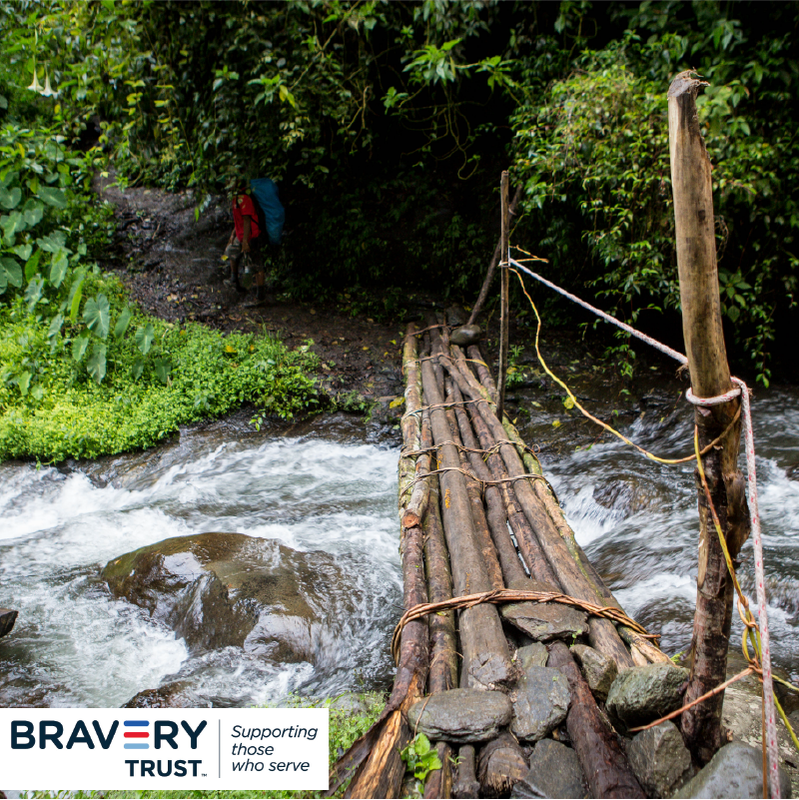 After completing this trek you will feel proud to have paid your respects to Australian wartime history, will have completed a personal physical challenge and will have raised funds & awareness for the Bravery Trust to continue their vital work in providing financial assistance to returned veterans. 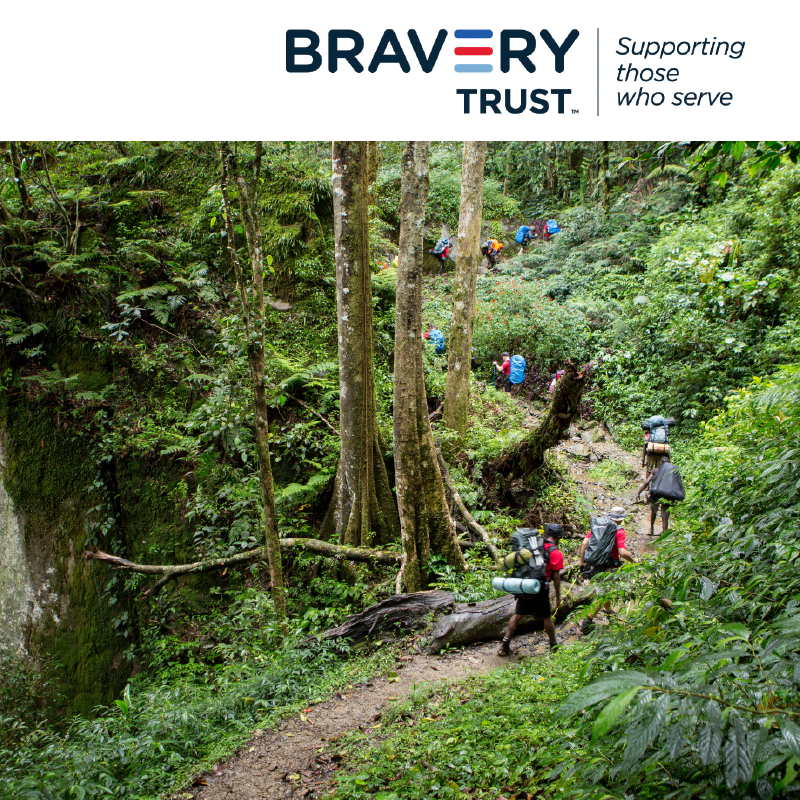 Our 2019 Trek will take place 20-29 April, so come take a walk to honour the diggers while raising funds for our modern day veterans at a time when they need it most. DAY 1 – We leave Brisbane and fly directly to Port Moresby and are met by our ground transport at the airport and we are transported back to our hotel. Here we undertake an extensive in-country brief including what to expect, how to pack and other administration for your trek. DAY 2 – We transfer out to Popendetta and then road transfer to Kokoda Station. 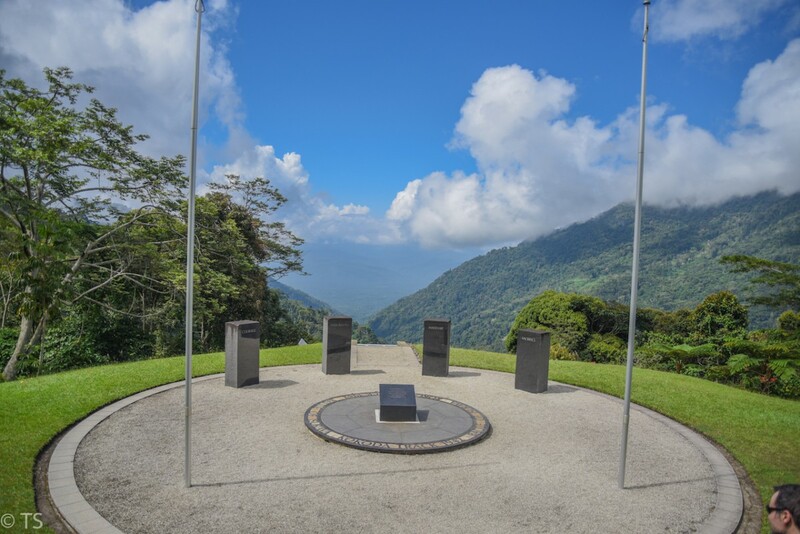 Once on the ground we hear the history of the battles of Kokoda, visit the Australian monuments and small museum before hitting the Track and heading to our night location Deniki. DAY 3 – A bright and early start for our first full day on Track and we head toward post war village Isurava before continuing onto the Isurava Battleground – a moving and emotional monument built to remember those that fought on those hallowed ground during the battle of Isurava. From there we have a cheeky climb up and over toward the spectacular views of our night location, Alola village. DAY 4 – Your first big day! After a steep descent down from Alola and a river crossing we head toward Eora Creek the site of a Regimental Aid Post during the battle and the scene of some fierce fighting on both the fighting withdrawal and the Australian Advance. From here we climb out of the creek line and notice the many weapons pits still visible today. We head toward Templeton’s’ crossing, named in honour of Captain Sam Templeton and our night location at the base of Mt Bellamy. 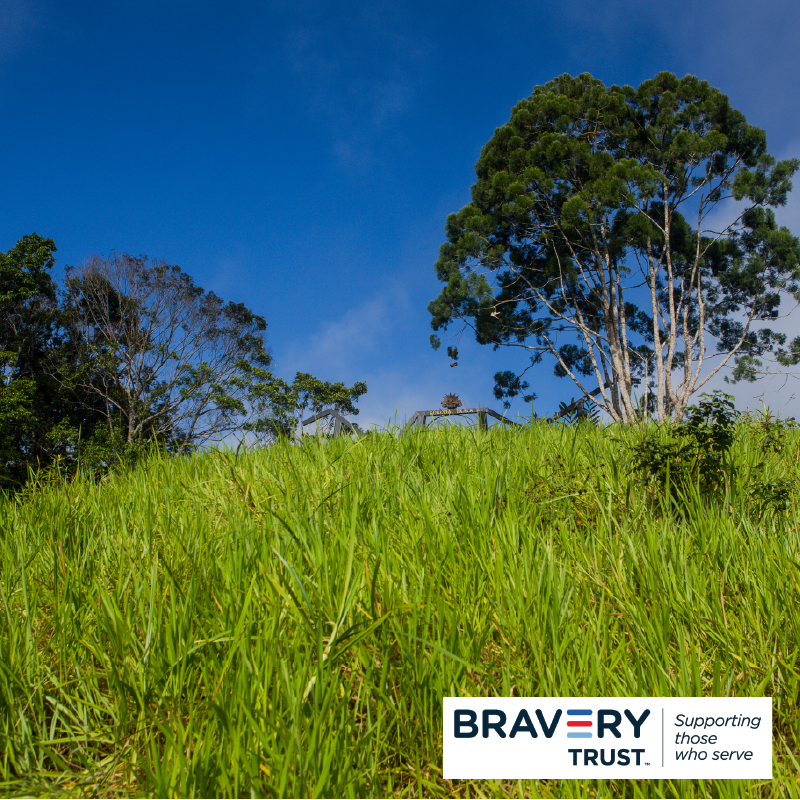 DAY 5 – We’re up early for a hill climb up to the amazing views of the Kokoda Gap. From here we reach the highest point of the range and then continue on to 1900 for morning tea and Naduri Village for lunch. Here we meet one of the last remaining Papuan Carriers and hear his war stories- a truly memorable experience. The team then proceeds on to Efogi Village for our night location at which time we’re officially over half way! DAY 6 – This morning begins with an emotional climb up Mission Ridge and onto Brigade Hill the site of one the fiercest battles of the campaign for our ANZAC Day Dawn Service. After taking some time to hear the history and pay our respects to those lost we continue down to Menari village and onward to Brown River for the night. DAY 7 – Today we start in the swamp and then slowly climb up through the village of Nauro and up over the Maguli Range. Here you will encounter the famous nine false peaks before heading down Japs Ladder and across the beautiful Offi Creek to our night location. DAY 8 – We have two big ridges to tackle today. We start with climbing the formidable Iroibaiwa Ridge, the furthermost point of the Japanese advance. We then move down through the stunningly beautiful Ua-Ule Creek where we spend our time crisscrossing through the river in this moss-covered forest. We reach the location of the “Golden Staircase’ and climb up Imita Ridge before arriving at our night location of Uberi. 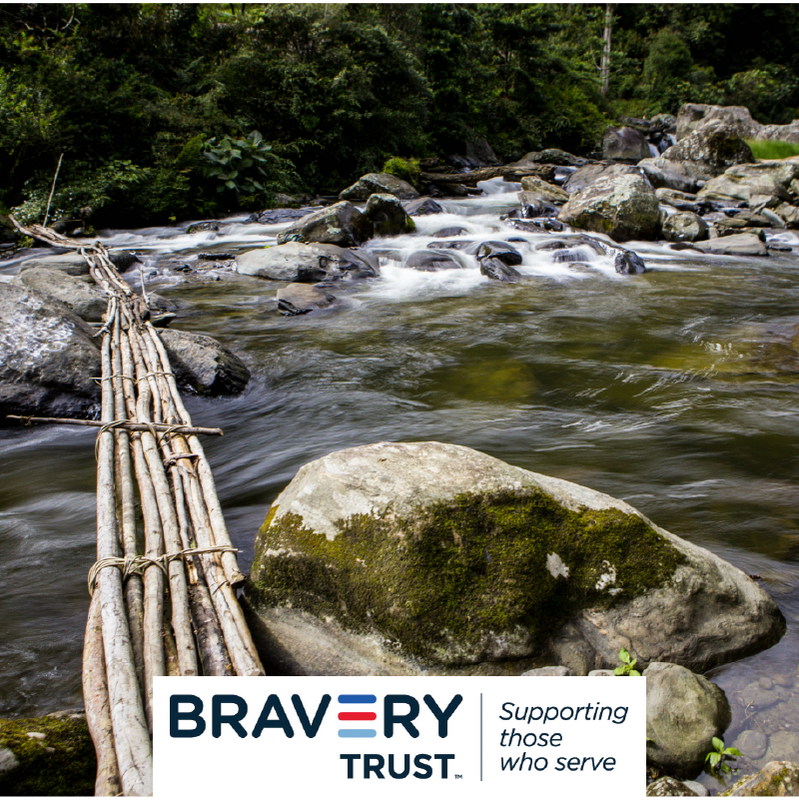 DAY 9 – This morning we walk for a few hours to the Goldie River where we cross and start our last climb up to the Kokoda arches at Owers Corner and complete our trek. We then proceed on to pay our respects at the Bomana War Cemetery and back to the hotel to refresh ourselves for our dinner celebration. DAY 10 – We rise early to transfer to the Airport and fly home to our family and friends with a lot of great memories, a fantastic group of friends and a new appreciation of those that took part in the Kokoda campaign. – Strength and Conditioning Program prepared by Exercise Physiologists specifically for this adventure conducted by our training parters Aspire Fitness & Rehabilitation (AFR) – 8 weeks and 3 fully supervised sessions for Brisbane trekkers or our 12 week Remote Preparation Program for interstate trekkers. – Two nights accommodation in Port Moresby (4-star) on a twin share basis*. – Restaurant meals in Port Moresby. – Charter flight from Port Moresby to Kokoda. – All transfers and transport in Port Moresby. – Accommodation on the Kokoda Track in a village hut, tent or bush camp. – All food during the trek—ration packs are prepared in Australia. – Most personal camping and cooking equipment. – Local PNG porters for group equipment. – Trek gear including trekking shirt, night shirt and cap. – A trip to Bomana War Cemetery. – Return economy international airfare from Brisbane to Port Moresby. *Trekkers also have the option of upgrading flights or staying in a single room which in Port Moresby. We can advise the extra costs associated with these options at the time of booking.